To honor their son, Ann and Rob Barclay are working with the non-profit group, The Leafs Hockey Community Action, of which Rob has been a member for decades. Together, they’re sponsoring the Robby Barclay Memorial Ice Hockey Tournament on April 5 and 6 at Lancaster Ice Rink. Doors open at 6:30 p.m. on the 5th and again at 8 a.m. on the 6th. Donations collected at the tournament will go to The GateHouse to help the recovering men and women the non-profit organization serves. Robby never attended The GateHouse or utilized any of its programs, even though the Barclays wish he had. The Barclays were very involved in Robby’s life and fought his addiction as best they could. By raising awareness to The GateHouse through the memorial ice hockey tournament, the Barclays hope their son will not have died in vain. Although he battled addiction for the last 10 or 12 years of his life, Rob said Robby was once a youngster who loved ice hockey. Before the addiction took hold, Robby was a good brother to his younger sister, Katie. The addiction began with marijuana, then graduated to pills—“I’m not even sure what they were,” Rob said—but eventually, Robby turned to heroin and his descent began. 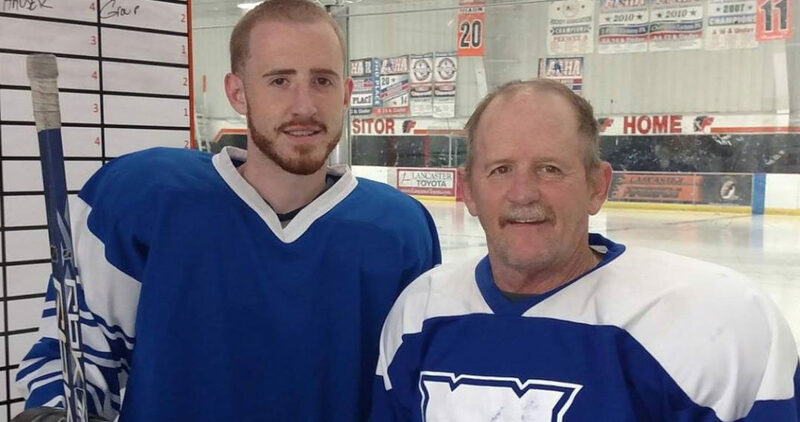 Rob said he and his wife hope the ice hockey tournament raises awareness to The GateHouse and helps others who may be facing similar problems. WHEN: April 5 at 6:30 p.m. and April 6 at 8 a.m.